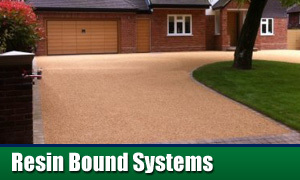 What makes Resin Bound Driveways different? 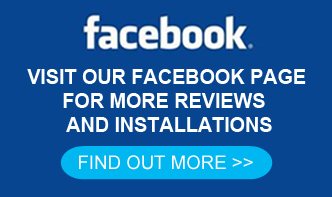 Small stones or aggregates are bound together using an extremely strong environmentally friendly hi-tech resin. 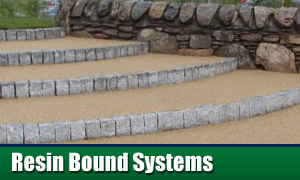 Once set the surface then becomes hard wearing and durable with the added benefit of providing excellent drainage properties through the small gaps between the stones and resin. 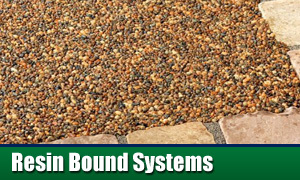 Not only are resin bound driveways permeable but also offer a large selection of colours and textures by using different types of stones. 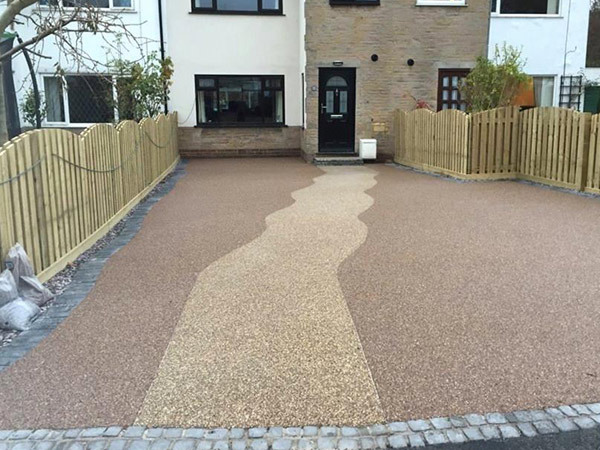 Why choose resin bound surfaces? 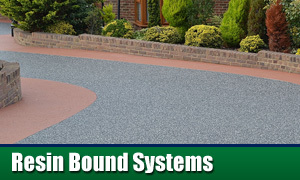 With more and more front gardens being lost to driveways due to the increase in car ownership, solid driveways can hinder rainwater draining away into the local water table. 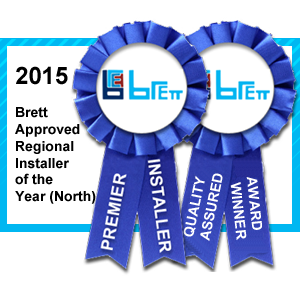 Conventional solid surfaces are impermeable, adding to flood risk. Whilst gravel based driveways can avoid this problem, they can hinder wheelchair and pushchair access and those stones can get everywhere.